Google's own director of engineering for Android Wear gives us a glimpse at what devices he carries, how he sets up his home screens, and what apps he can't live without. One of the things that makes Android so interesting is the fact that no two people use it the same way. From the ever-expanding variety of hardware to the virtually endless possibilities for configuring and customizing the software, diversity is a key part of what makes the platform as appealing as it is. That's why I'm always fascinated to see how other people use Android -- what devices they choose, how they set up and get around their home screens, and what apps are integral to their lives. Whether they stick with a minimalist, bare-bones-style setup or go crazy with complex customizations, you can learn a lot about someone by seeing what type of picture they paint with the common Android palette. You might even get some inspiration for your own personal approach. So join me as I check in with high-profile people from the Android world to see how they use Android. 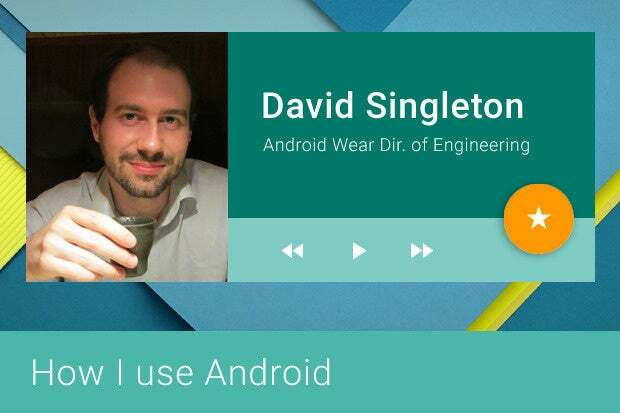 First up is Google's own director of engineering for Android Wear, David Singleton. In his own words, this is how David uses Android. Your current primary phone: Sony Xperia Z3. What case is on your phone (if any): None -- this phone is waterproof all on its own! Seriously, I have taken it in the pool when I go swimming. Your current tablet (if any): Nexus 9. Your current smartwatch (if any): Well, obviously I am using all the Android Wear watches, but my Moto 360 is still the one I keep paired to my primary phone and I love it! A quick walk-through of your home screen setup: My real home screen these days is my watch face! 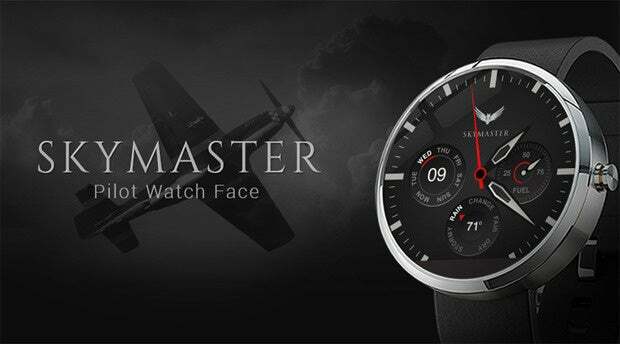 Right now, I'm using Skymaster Pilot, which is great -- I love that it shows the weather in a cool mechanical watch-feeling complication and I was able to customize it with my initials. On the phone, I think this is a pretty vanilla setup. I change phones a lot so I tend to keep it simple. I always keep my most used apps on the first home screen and the calendar widget one swipe away. 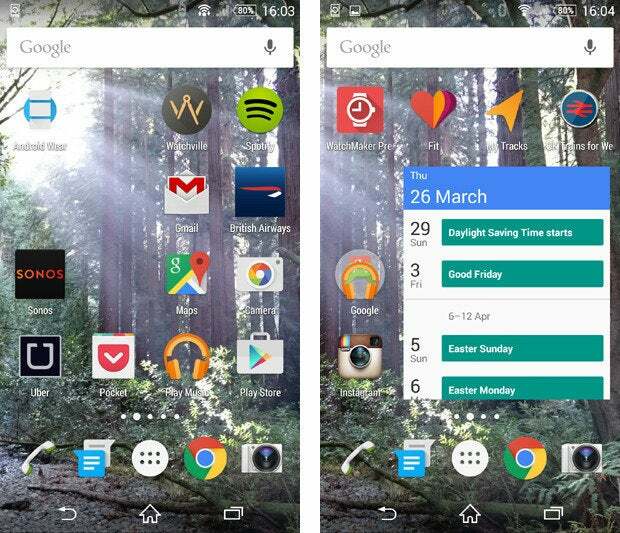 What launcher you're using: Google Now Launcher. What wallpaper you're using: This is a photo I took on the Xperia Z3 in Muir Woods. It was really peaceful that morning and this wallpaper helps keep me Zen. Anything else of note (interesting customizations, special icons, etc): I think the Sonos widgets on my final screen are pretty cool. I have one for each room I have Sonos in and when I'm chilling out, I tend to stay on that home screen. Even cooler, though, is that with the latest Sonos app update and my Android Wear watch, the music controls for the room show up right on my wrist. It's great to be able to glance down to see the name of the track and skip it if it's not the greatest. Any other apps you can't live without right now (and a quick word about why): Pocket. I recently moved (back!) to London and take the tube to work. Having articles I usually wouldn't have time to read available offline, nicely presented and super fast, makes my commute much more enjoyable.